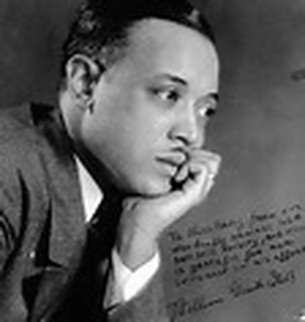 William Grant Still was an African-American classical composer, arranger and conductor who wrote more than 150 compositions. He is considered a leader in paving the way for African American musicians to be recognized in society. In 1931, he became the first African American to have a major orchestra play one of his compositions. 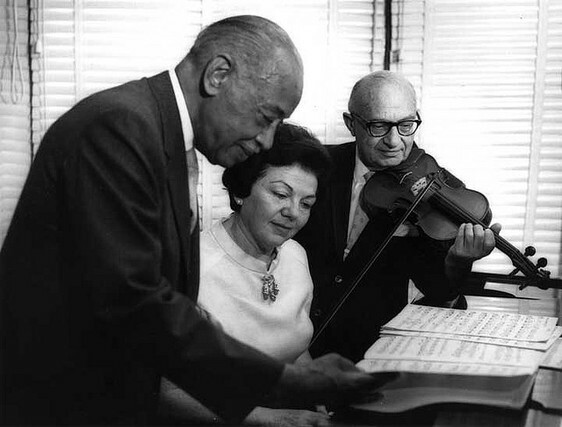 He was also the first African American to conduct a leading American orchestra. 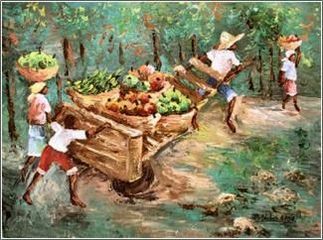 Many of his works reflect his concerns about the position of African Americans in society. His most important work is the Afro-American Symphony written in 1931. 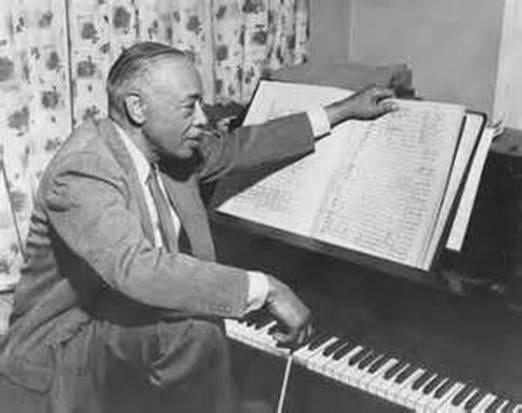 He is often referred to as "the Dean of African-American composers". The opening rhythm and melody of this movement is similar to that of the St. Louis Blues. Muted trumpets and a jazzy rhythm give it a feeling of the blues. Still was born in Woodville, Mississippi. His parents were both teachers. After his father's death, Still moved with his mother to Little Rock, Arkansas. His childhood home was filled with the sounds of his grandmother singing spirituals. At age sixteen, Still enrolled at Wilberforce University in Ohio as a premedical student. He devoted himself to musical activities such as playing violin in the university string quartet. He decided to abandon medicine for music, and he left college to enter the world of popular music as an arranger and performer. The melody in this quiet movement is obscured. We still hear jazz elements reminiscent of the blues, but they are subtle. Still worked for the composer and publisher W. C. Handy in Memphis, where he arranged Handy's blues march, St. Louis Blues, for military band. He later served in then navy during World War I. After his navy service, Still moved to Yew York, where he lived a double life as a popular musician and as a composer of concert works. He made band arrangements and played in the orchestras of all-black musical shows. Still nicknamed this joyful movement Humor and prefaced it with the following quotation: "An' we'll shout ouah hallelujahs on dat might reck'nin'day." Listen carefully for the banjo in the orchestra. It has a lively, syncopated melody that ends with a repeated note and pause. Still called this the "hallelujah" melody because the rhythm fits the syllables of the word. After experimenting with a variety of music styles, Still decided to write compositions with a uniquely African American flavor. These won critical acclaim in New York. A turning point in his career came in 1931 with his Afro-American Symphony being performed by the Rochester Philharmonic. Within the next two decades, this symphony was performed by thirty-eight orchestras in the U.S. and Europe. The final movement begins like a slow hymn and ends with an upbeat and lively finale. In 1935, Still moved to Los Angeles, where he wrote film scores, concert works, and operas. He was the first African American to conduct a major symphony orchestra, the Los Angeles Philharmonic. He was also the first to have an opera performed by a major opera company. 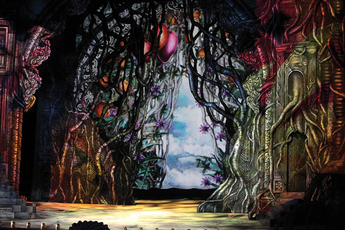 His opera, Troubled Island, about the Haitian slave rebellion, was the first performed by a major opera company in 1949. In 1981, three years after Still's death, his opera A Bayou Legend (1941) was broadcast on national television. The incantation section of this music is slow and reflective, followed by a quirky, lively melody for the dance.